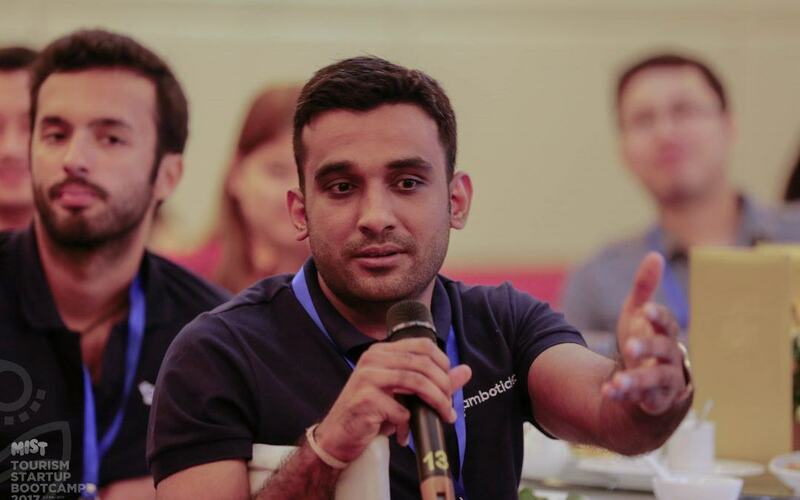 Networking, building connections and learning from industry experts left the 21 tourism startup semi-finalists feeling positive about the Mekong Innovation Tourism Startup (MIST) Accelerator bootcamp held on May 5-7, 2017 in Siem Reap, Cambodia. Startups came away well equipped with insider knowledge and tools to apply throughout their journey entering into the travel and tourism industry. The three-day MIST bootcamp brought together leading tourism and innovation experts from Amadeus Next, the Asian Development Bank (ADB), Buffalo Tours (TMG), Gobi Ventures, the Mekong Tourism Coordinating Office (MTCO), Clickable Vietnam, Entrepid Advisors, and Triip.me. MIST co-creator Jens Thraenhart, executive director of MTCO, explained that it is critical in today’s competitive and fast changing travel and tourism landscape to integrate innovation and startups into tourism development planning. MTCO is currently the only regional tourism organization that incorporates startups into its tourism strategy development process. The 21 tourism startups who attended the bootcamp were selected from more than 250 applicants spanning travel technology solutions, traditional tourism products, hospitality projects and social enterprises. The experts mentored the startups to improve business plans, address weaknesses, explore partnership opportunities, and identify areas for development. Startups were able to take initiative and network amongst each other, developing potential partnerships and gaining a scope of how other startups are tackling and overcoming challenges. Workshops aimed at developing a pitch to ‘wow’ investors were run on the first two days of the bootcamp, as well as individualised ‘mentor round robin’. Participants worked on pitching skills and gained expert knowledge from leading experts in the industry. Mentors proposed questions and ideas challenging the startups’ knowledge of the industry while developing new industry perspectives. Expert panels raised topics for discussion surrounding ‘the hottest tourism business opportunities in the greater Mekong Subregion’ and ‘being innovative in tourism’. Vietnamese participants felt the program was a rewarding way to find out about the tourism industry outside of Vietnam and was an opportunity to put together a clear picture of the entire tourism landscape in the Greater Mekong Subregion (GMS). MIST looks forward to meeting with the 12 startup finalists when they pitch their business plans to investors at the Mekong Tourism Forum, 6 June in Luang Prabang, Lao PDR.